IFTM Top Resa will be marking its 40th edition this year while augmenting the potential and sustainable growth of the travel industry. With years, this international tourism program has turned into a multi-faceted event encompassing all disciplines of tourism and hospitality industry under one roof starting from leisure to business, group, MICE, and specialty tourism. This event is not only important for the French market but also opens the gateways for business opportunities for international markets. The theme of IFTM Top Resa 2018 is “Destination France”, however, the “Country of Honour” is Indonesia, instigating the splendor of Southeast Asia. 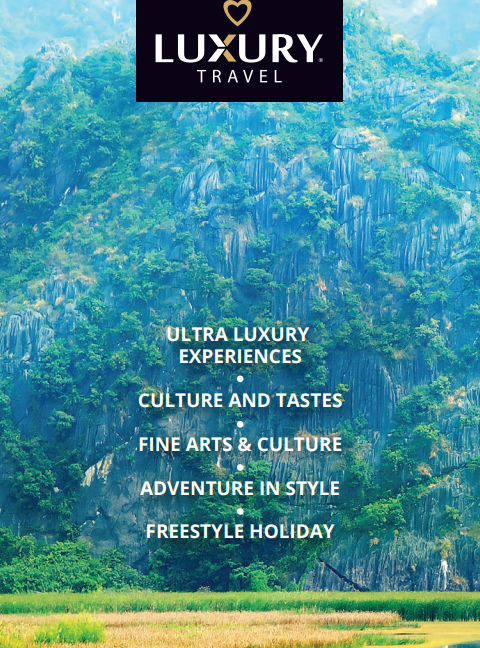 Luxury Travel Vietnam will be participating in this event in association with the Vietnam National Administration of Tourism (VNAT) to present Vietnam as one of the fascinating vacation escape in Southeast Asia for French travelers. Since time immemorial, Vietnam possesses a deep and strong connection with France and it has been like a legacy for centuries. This creates a great positive impact on Vietnam tourism as well. Sensing the potential of the market evoked through historical importance, natural luxury, and a deep-rooted personal relationship, Vietnam has introduced a number of travel opportunities for French travelers. According to VNAT data, Vietnam welcomed 255,369 French travelers in 2017 which is 6.04% higher than in 2016 when the country welcomed only 240,808 travelers. So far in the first 7 months of 2018, the country welcomed a total 172,944 French visitors and is expected to exceed last year’s data more significantly by the end of 2018. IFTM Top Resa presents a global platform for industry experts and entrepreneurs which helps in strong networking for future business development. This European tradeshow aims at generating prospects for the businesses while nurturing business alliances. Many business leaders and investors share their insights and ideas to promote new business opportunities, paving the way for the growth and development of many startups. Owing to its bygone cultural fusion, Vietnam is still an important point of interest for French. For example, the Hue Festival is one of the cultural heritage of Central Vietnam and France still remains the main partner of this festival. Vietnam, on the other hand, preserves the French colonial heritage and architecture as a tribute to its past and Hoi An is one of its most iconic examples. There are many such destinations all across Vietnam like Hanoi, Dalat, Ba Na Hills and its newly launched Golden Bridge that reflect the French colonial appeal and culture. Many colonial buildings have already been transformed into high-end hotels, resorts, and restaurants to foster the essence of colonialism and heritage embedded in those structures. These places are of special interest for international travelers and especially for the French who admire the ancient art and craftsmanship of their ancestors and want to dig deeper into their past. The Visa waiver program for the French and many other European nations is a great initiative by the Vietnam Government to welcome more and more international visitors, adding an essential benefit to the tourism industry. Complementing the burgeoning demands, the airlines have improvised their services while adding more direct flights between France and Vietnam at an economic rate. Chartered flights are a new introduction in Vietnam tourism market in recent years and expected to expand its periphery to meet the growing market needs. Experiential luxury is highly in vogue in the travel and hospitality industry and this has lead to the fast-paced development of condotels and new colonial-style boutique hotels and resorts redefining and recombining to the past. The swift changes in Vietnam’s tourism market are quite significant in balancing the traditional richness while envisaging the international standards and needs to accommodate all kinds of international and domestic travelers. Luxury Travel Vietnam is looking forward towards this forthcoming event with a great hope of new business opportunities and alliances between Vietnam and France while adding a positive influence on the socio-economic progress of the two countries. The French representative from Luxury Travel Vietnam, Mr. Tien Hung will be presenting three brands at IFTM Top Resa: Luxury Travel Vietnam, Emperor Cruises and Heritage Cruises. Luxury Travel Vietnam warmly invite all industry leaders and professionals to join and meet Mr. Hung at this event at Stand: 7.2-R011 with a hope to have a good networking session with the chance to share ideas and updates that can lead to a prospective business partnership in future. The company will be updating with all new experiences from its luxury travel packages in Southeast Asia. For a prior appointment, get in touch with Luxury Travel here.